Why We Can't Wait: Frank Bowe Tells Us What Time It Is! "Disability Meets The Boom" is a must read item. Frank Bowe, also known as "The Father of Section 504", has eloquently and with convincing documention argued the demographic rationale for the work of the Rolling Rains Report (USA), the Travel & Disability section at Suite101.com (Canada), the Social Inclusion Forum at eTur.com.br (Brazil) and the entire global network that is promoting Inclusive Travel and Inclusive Destination Development. Continue reading Why We Can't Wait: Frank Bowe Tells Us What Time It Is!. Darren Hillock publishes the Get Around Guide with some very useful information for travelers with disabilities. Check his blog regularly. I do! Here he reports on the Conde Nast review of travel agents. Here he discovers that cruise travelers with disabilites are being recognized by the industry as having a distinct style. Continue reading Conde Nast on the Disabled Cruise Niche. The Stoke Mandeville Stadium, Aylesbury, Bucks is the location for the 2005 Accessible Holiday Show by Accesssible Travel & Leisure. The show will run October 6 and 7, 2005 featuring an impressive lineup of exhibitors and presenters. Continue reading UK 2005 Accessible Holiday Show by Accesssible Travel & Leisure. Katrina/Rita: Opportunity for Universal Design is a piece by Pattie Thomas, PhD of The Ample Traveler and the Ample Rambler blog. Clearly the worst of America's problems were laid bare by Katrina. Instead of name-calling and scapegoating, it is my hope that America can start addressing the underlying causes of these problems. At the forefront of these underlying causes is the question of accommodations and universal design. By emphasising the ability of travellers with disabilities to tackle such a trip, the programme has highlighted the fact that the pool of companies offering "intrepid" holidays to this market is limited. Continue reading Extreme Inclusive Adventure in Nicaragua - See it on BBC. I am very pleased to announce a new collaboration with the author of Travel and Transitions, Susanne Pacher. I will be contributing articles and providing expertise on disability and travel to this promising web site. Note especially the interviews of travelers-with-heart belonging to Servas. Continue reading Scott Rains @ Travel and Transitions. "Family builds home with mud, sweat and lots of newspaper"
"I'm an autistic who loves flying and airports..."
Continue reading Recent Coverage of Inclusive Travel: A Review by Global Access Travel Network E-zine. According to a study by the (AARP), an overwhelming percentage of Americans aged 45 and older -- more than 83 percent -- want to stay in their current homes long after they retire. But, that doesn't mean that the home they purchased in their 30s will still be suitable when its occupants reach their 50s, 60s or 70s. Continue reading Universal Design on the Installment Plan: Small Changes. Occassionally, when the news isn't getting out there, it is helpful to issue your own press release. See "Hope from an Unexpected Quarter in Post-Katrina Reconstruction: Thought Leadership from the Disability Community." Continue reading Press Release on Katrina Reconstruction and the Disability Community. Thorough research is especially important for travelers with disabilities. Sue Eagan writes for the new blog created by the Physical Disability Council of Australia --InaccessibleUnaccessible. The site has set the goal of monitoring the opaque process of developing the Access to Premises Standard mandated by the Australian Disability Discrimination Act of 1992. Eric Lipp, founder of the Open Doors Organization, is quoted in the following article that reports findings of the 2005 study on the travel behavior of Americans with disabilities. Continue reading Eric Lipp Makes the Business Case for Inclusive Travel. Plan to attend the Universal Access in Travel Symposium & Exposition in Baltimore, MD December 12-14, 2005. Continue reading Universal Access in Travel Symposium & Exposition. As a new hurricane bears down on the tourist haven of Key West one blogger contrasts W and Jeb's responses. Some of the initial shock has worn off and reflection is taking place on disasters and disability. Is it possible that we are learning something and making travel safer for people with disabilities as a result? A coalition of five disability groups has released the following statement on Universal Design. Continue reading Will We Learn From Our Mistakes?. The Rolling Rains Report covers issues affecting the ability of people with disabilities to fully participate in society while they are away from their primary place of residence. In general, that means issues impacting travel. Continue reading Post-Katrina the Paralyzed Veterans of America Call for Inclusive Reconstruction. for all new construction in the region affected by Hurricane Katrina. Continue reading National Council on Disability Advises Bush: Mandate Universal Design. The Enterprise Foundation sponsored a conference call on response to Katrina. While the speakers did not specifcally address disabilities they did provide useful information based on experience managing disaster recovery such as for the Loma Prieta earthquake, which as noted elsewhere, resulted in accessible built environments. Experts are calling for long term planning to begin now and emphasized the need for an ADA compliant during the Question & Answer period following their presentations. Continue reading Experts on Disaster Recovery Focus on Long Term Recovery. Packing for the "Unexpected Trip"
Hurricane Katrina's aftermath has also wreaked havoc on my categorization system at Rolling Rains. "Disaster preparedness" seems a timely topic. Think of it as a sub-specialty of "packing for vacation." Continue reading Packing for the "Unexpected Trip". "For people with mobility challenges, expectations are going up," said Bob Bond, [Breckenridge Outdoor Education Center's ] wilderness program director. "There's great demand for access to front country terrain." Read about one outdoor access project here. LOS ANGELES (eTurboNews) -- Tourists will start returning to New Orleans in perhaps six month's time, a New Orleans tourism official predicted Tuesday. According to J. Stephen Perry, the head of New Orleans? convention and visitors bureau expects, despite Katrina?s wrath, most hotels, the French Quarter, and the fabled Garden District emerged from the disaster structurally sound. Continue reading Tourists will return to New Orleans in 6 months, official predicts. Here is another page on Mexico's upcoming Inclusive Tourism conference. This link will take you to the registration form as a .zip file. Continue reading Register for the Inclusive Tourism Conference in Mazatlan. A note to those working on advocating Universal Design in post-Katrina recovery work. FEMA operates on a time-tested cycle. The agency knows, and paces its response, to the news cycle which consistently stops disaster coverage after six weeks. We are in week two. As is so often the case, what began as an individual Inclusive Travel project -- the innovative Estate Concordia design -- has become a regional Inclusive Destination Development intitiative. Here the Houston Chronicle runs a New York Times report on the phenomenon. Eternal vigilance is the price of liberty -- and it sounds like it is time to pay up again according to the International Association of Assistance Dog Partners press release below. Continue reading Right to Travel with a Service Animal in the Airline Cabin Threatened. Fred Schotz reports on the outcome of his suit against that airline in " Crash and Burn: My airline case goes down in flames" at Ragged Edge online. Welcome to California, Katrina Evacuees! The California Hotel & Lodging Association (CH&LA), the same people who brought us the "We Welcome Service Animals" campaign, has risen to assist Hurricane Katrina evacuees in a big way. Their goal is to provide 200,000 places for guests. While the press release does not specify, and I have been unable to reach Jim Abrams, CH&LA president this past week, one would hope that an agency as atuned to the needs of people with disabilities has the logistical and IT infrastructure in place to smoothly match disabled guests with appropriate accommodations. Wouldn't that task be so much easier in an ideal world where Visitability were the norm? Let's look forward to the Gulf area rebuilding with Universal Design and Visitability as the norm. We Californians will be counting on their legendary Southern hospitality when the "Big One" shakes us! Continue reading Welcome to California, Katrina Evacuees!. Will FEMA-funded Post-Katrina Homes be Universally Designed? Visitable? National Public Radio reports that Stewart Park Homes has been contracted by FEMA to produce 1,000 manufactured homes as rapidly as possible for those left without shelter by Katrina. Will those homes incorporate Universal Design? Will they be sited so as to be Visitable? Universally designed manufactered homes are both "readily achievable" and demonstrably beneficial as we read here from the Minnesota Manufactured Hoimes Association on August 12. Continue reading Will FEMA-funded Post-Katrina Homes be Universally Designed? Visitable?. Well, let me begin this post with the erudite observation, "I told you so!" Universal Design has finally passed from a novelty in home design and remodelling to the heart and soul of the business model of an innovative hotel brand - Duna Salud in the Canary Islands. In the process it is also working a minor renaissance in the region - a de facto, grassroots Inclusive Destination Development campaign. ?ngel Luis Tadeo in the Canary Islands has launched the Dunas Canteras Hotel and the Duna Salud brand to launch the next phase in the evolution of Inclusive Travel options. The article below (Spanish) lays out in detail the market niche sought, demographic analysis utilized, and array of ammenities available for this undertaking that consciously seeks to exmplify the best thinking in Universal Design. Continue reading Universal Design in High Style: Hotel Dunas Canteras, Canary Islands. Anne Finger is a leader in the field of Disability Studies. Below is a letter she has circulated among disability scholars asking questions that have important implications for rebuilding in the wake of Katrina. Continue reading Anne Finger Reflects on Hurricane Katrina. Korean museum patrons are getting another look at the latest in Japanese innovation in Universal Design. 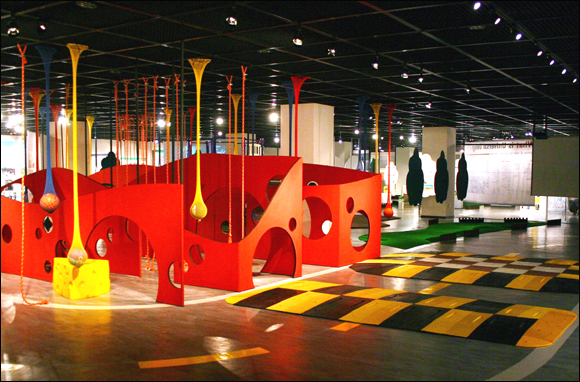 Seoul's Hangaram Design Museum hosts this year's exhibit. Continue reading Universal Design in Korea. During this period recovery from Hurricane Katrina - and planning the reconstruction of tourist icons like New Orleans - is dominating US news. We monitor the news for items of interest to travelers with disabilities. Travel solutions for people with autism and their companions is a neglected study. Jaime Vitrano runs the blog, Autism Forum. He sends this link to a story on the work of one preliminary step directed to those with autism. What is Sustainable in Destination Development? The recent disaster in New Orleans has once again brought the issue of sustainable development to the fore. According to Klaus Jacob, research scientist at the Lamont-Doherty Earth Observatory to New York?s Columbia University, New Orleans was considered to be a perfect example of the unsustainable city. As a result of the development of a complicated system of levees, which enabled the city to expand, the delta subsided and the city got lower as the water around it built up. This increased the coast?s exposure to floods and storms. As well as the impact on individuals? lives the city will suffer a huge economic loss. 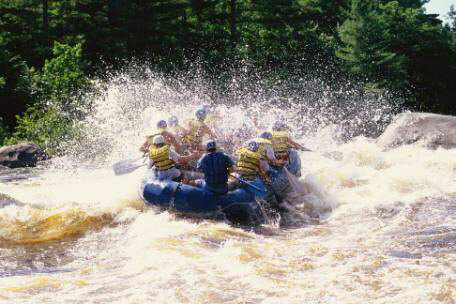 Tourism was a major industry with 8.5million tourists contributing US$4.5billion in 2003 to the local economy. The industry will take a long time to recover, assuming New Orleans is rebuilt. Alongside the environmental question is the human one. To what degree will the design of the rebuilt New Orleans sustain the full social participation of all its citizens and tourists? To what degree will the region adopt Universal Design as a strategy for sustainable development as laid out in the Rio Charter for Sustainable and Inclusive Development? Continue reading What is Sustainable in Destination Development?. Recent posts at Rolling Rains have focussed on Hurricane Katrina. In the current situation of displacement and destruction it is difficult to imagine a return to normalcy. However, time and again hope triumphs over disasters and, with attention to planning, reconstruction can bring new opportunities. Below is an update on Grenada one year after Hurricane Ivan. 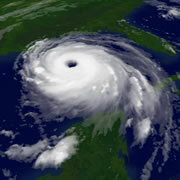 Continue reading Hurricane Recovery - One Year After Hurricane Ivan. Gracias to the folks at Mazatlan Iinteractivo for reprint permission and ofr organizing this important event! 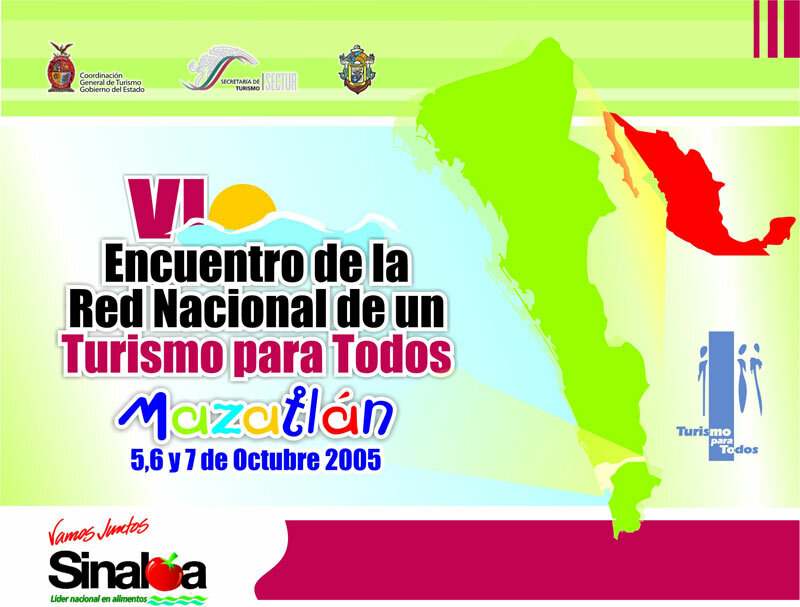 Continue reading Mexico's National Inclusive Travel Conference: October 6, 7, & 8, 2005. The reconstruction project following Hurricane Katrina will require local expertise in Universal Design. Done correctly, results could be economically positive and inclusive for people with disabilities. Participants in the Santa Cruz, California Universal Design Conference reported that fastidious monitoring of reconstruction for ADA compliance after the Loma Prieta earthquake had direct impact on the economic upturn of the Santa Cruz, Soquel, Aptos region. The systematic application of Universal Design -- and a subsequent shift from ADA compliance to the economically sustainable Unniversal Design model -- will be the cornerstone of Inclusive Destinato Development efforts in New Orleans. Meanwhile, the blog Katrina Disaster Relief specializes in a housing database to meet the immediate disaster recovery needs of people with disabilities and the Minnesota Manufactured Housing Association supplies premade, universally designed homes. Mobility International USA (MIUSA) specializes in makiing foreign exchange possible for students with disabilities. The University of Minnesota also has a collection of resources such as this. Candy Harrington, editor of Emergng Horizons, writes on the availability of accessible accommodations in the three Carnival Cruise Line ships contracted by FEMA for those left in need by Hurricane Katrina: See "More on Cruise Ship Evacuee Housing"
Mary Reynolds has invented the Secure-A-Pet Shoulder Dog Leash. Continue reading New Tool for Travel with Pets. range of federal disaster relief assistance. or 800-462-9029 or TDD/TTY 800-462-7585. The Daily ARTA E-News bulletin reports that Carnival Cruise lines will provide assistance in relief efforts for hurricane Katrina. FEMA has contracted to dock the ships Ecstatsy and Sensation in Galveston and the Holiday in Mobile. USA Today reports that the goal is to use them to house up to 7,000 refugees. The International Herald Tribune reports that the ships will be used mainly for the elderly, the disabled and those with medial needs. Limited information is available on cabin accessibility for refugees with mobility impairments. Both the Ecstasy and the Sensation contain 4 cabins "fully modified" for passengers with disabilites and 20 "modified" cabins. The Holiday has 6 "fully modified" and 15 "modified" cabins. Continue reading Carnival Cruise Lines & Hurricane Katrina Relief. The National Council on Disability released a report on the demographics of disability in the area affected by Hurricane Katrina. It is reprinted in it entirety below. With the region being such an important tourist destination it is essential to develop reconstruction plans in accordance with the Inclusive Destination Development model in which Universal Design is ubiquitous in infrastructure, Visitability commonplace in private home construction, and the social participation - and safety - of people with disabilities is guaranteed. Continue reading Katrina and Resources for People with Disabilities in the Gulf of Mexico. In a followup to the February 14, 2005 story on the design competition for disabled access to amusement park rides, the winners of "Access to Fun" have been announced. Continue reading "Access to Fun " Design Winners Announced. The web site at Destination Oceans offers quick access to the policies of several cruise lines regarding disabilities. Sadly, the dominant motif is still the medical model with doctors' waivers required and extra insurance encouraged. Some policies are more debilitating than disability. Rolling Rains readers have commented on how frequently Brazil and its contributions to Inclusive Tourism appear here. Continue reading The Brazil / San Francisco Bay Connection. Among readers of the Rolling Rains Report are a group of Universal Design specialists ( the Working Group on Inclusive Destination Development) who offer technical support to crews on the group in post-tsunami Asia. With the destruction caused by hurricane Katrina there will be a need for similar attention to inclusive design as infrastructure, homes, and businesses are rebuilt in the Gulf Coast region. Continue reading Disaster Planning & Disability. Inclusive travel has taken hold with remarkable vigor across the globe in the past five years. Japan Travel Marketing (http://www.tourism.jp/english/) is an example of level of maturity and sophistication that has been achieved during this time of heightened interest. Continue reading Course about autism and product design highlights fall offerings in Disability Studies.